KEEP CALM AND CARRY ON: Home Sweet Home..
We made it home from Boston, friends! I've missed you all & have so much catching up to do. It may be a day and a 1/2 later than expected, but we made it home. Due to hurricane Irene, our normal flight home was cancelled and we couldn't get on a flight until the following evening. I wish I had some crazy story about experiencing some of the hurricane, but there wasn't much to see where we were... heavy wind and that was about it, luckily. We had amazing weather every single day of our trip, except for the day of the hurricane. My aunt and uncle still made the day exciting by cooking us a wonderful anniversary dinner at home... lobsters! :) not too shaby I'd say. We played games all day and ate every hour. and a sad, but true fact? I cannot wait to get some QT with my Pinterest account. Since I've been neglecting it, I'm going to share some quick loves for the week. -that feeling when you are back in your own home, in your own bed. -family that were so hospitable to us! -that Buckeye football starts this SATURDAY! I read almost the whole book while traveling yesterday, but I have about 30 pages left to finish tonight! Boston looks amazing! did you see any whales?? Also, I LOVE that bangle, so cute!! Welcome home! I've missed you so! It's been weird... I go to your blog more than I think I go to my own just to read what you have been doing in your life... but nothing. I've been so sad. Haha. Also, I've been slacking as well and I haven't had anyone to scream (you) at me for doing it. I've been bad. TELL ME ABOUT THAT BOOK!? I downloaded a preview of it on my Kindle about a week ago and read the first few chapters... It was cute so far, but I didn't know how the rest of it would be... so you gotta fill me in! Rocky I bet was so happy to see you! Need you back in my life. Now. One more thing... I joined Pinterest while you were away. I don't really know what I'm doing, so you gotta teach me. But I absolutely love it so far. So glad your trip to Boston was amazing, can't wait to go for Thanksgiving! Welcome back! Welcome back! I missed you :) I was wondering whether that hurricane affected your trip at all but it sounds like things were just fine! Can't wait to hear all about it. I loooove that bangle! Glad you weren't too affected by the hurricane on your trip and you were still able to make it special for your anniversary! Glad you had a good trip, and glad you're back! Your posts were missed. That bangle is the cutest! I love. 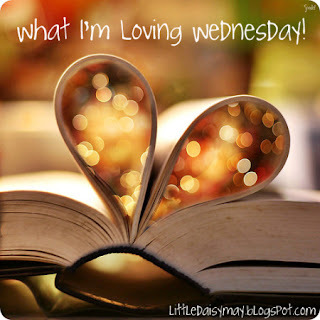 I also looove reading your blog, and when given my first opportunity to give out a blog award, I decided to pass it along to ya :) Hope you have a fabulous Wednesday! Glad you had a good trip! :) I read that book.. SO GOOD! Not going to lie... you're going to cry. so glad you are back! and safe! can't wait to hear all your catch up posts! and loving that bangle girlfriend! I love going home and sleeping in my old bed too! That bangle is adorable. I can't wait to hear your recap on the book. It's one on my possible to-reads list. Glad you had such a great time in Boston. I love that town! that bangle is too cute! cant wait to see pics from your trip! I read this book and it is very cute! welcome home! i missed yooooooou!